A major professional cycling event gearing up to become a “sporting and cultural highlight” in Sheffield’s calendar will return to the city centre this summer, with the support of a private hospital. 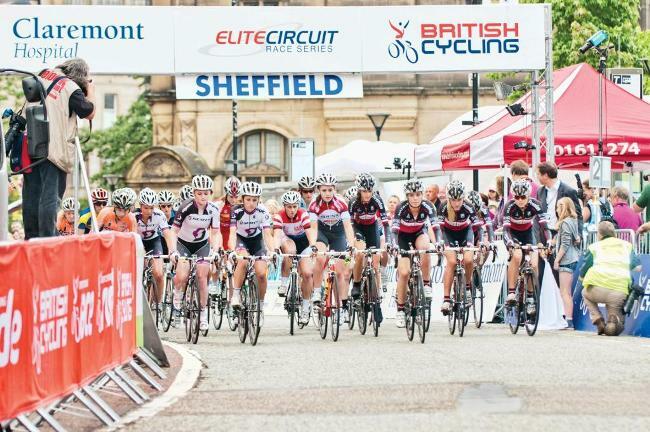 The Claremont Sheffield Grand Prix will take place in the city centre on July 24 for the second year, following a successful debut event in 2012. The free major event will bring world class cycling to Sheffield city centre for the watching public, ahead of next year’s Tour de France which will see the international event come to Yorkshire. Claremont Private Hospital, on Sandygate Road, Sheffield, is sponsoring the event for the second year. The Claremont Sheffield Grand Prix is becoming an important sporting and cultural highlight on the city’s calendar which brings social and economic benefits to Sheffield and the local area. Our sponsorship of Rapha Condor JLT pro cycling team enables us to offer a professional support service to cyclists at all levels, while the Grand Prix event continues our support of both elite and amateur cyclists through the hospital’s Sports Medicine Service. Sponsoring the Sheffield Grand Prix again is another great way to get involved with the local community. The Claremont Sheffield Grand Prix is being run by the organisational team of Sheffrec Cycling Club headed by Marc Etches and Mark Barry. With participants in the race coming from as far afield as Australia and America, the event is helping to put Sheffield on the cycling map. We believe it will play an important role in showcasing the city to a diverse audience – the people directly attracted to watch the race and those who see it through media coverage or watch the event on television. The early evening event has a demonstrable impact, encouraging people to stay in the city later and drawing a new audience into Sheffield. In addition to the spectators, many of the teams, staff and officials of the race also stay in the city, further boosting our local economy. The event is made possible by the collective support of local businesses, volunteers and Sheffield City Council, all of whom contribute with money, services and time, so we are very grateful for Claremont Hospital’s renewed support. Last year’s Claremont Sheffield Grand Prix attracted 6,000 spectators on the night, while 4.9 million TV viewers watched the event on Sky Sports. The evening’s first race will be a round of the National Women’s Road Race Series followed by the final round of the National Men’s Elite Circuit Series race. The professional riders will race around the circuit for approximately an hour, with each lap just over 1.4km.